Remnant offer. Refurbished. Traces of usage / scratches on enclosure. 2 years warranty. 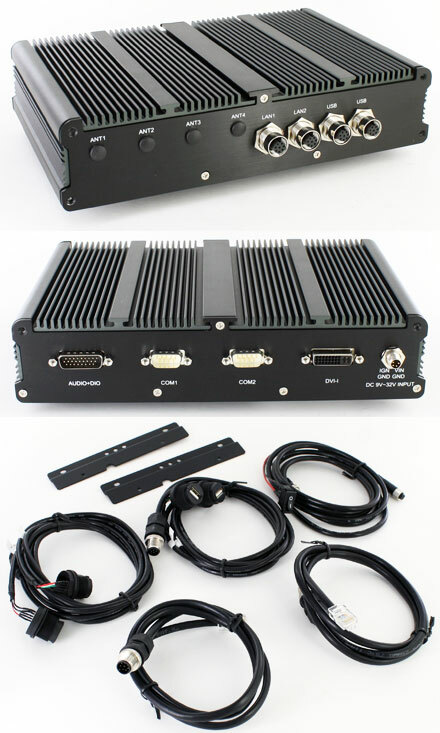 The PC comes with 4x antenna-output and 3x Mini-PCIe slots (1x occupied by GPS module). Min. 4GB RAM recommended for Windows 10 (64bit).